Traveling Angler: Went fishing and walked into a nudist colony? Went fishing and walked into a nudist colony? Summer won't go away here along Steelhead Alley. It's been drier than a bone and nearly all of the rivers are running low and clear. 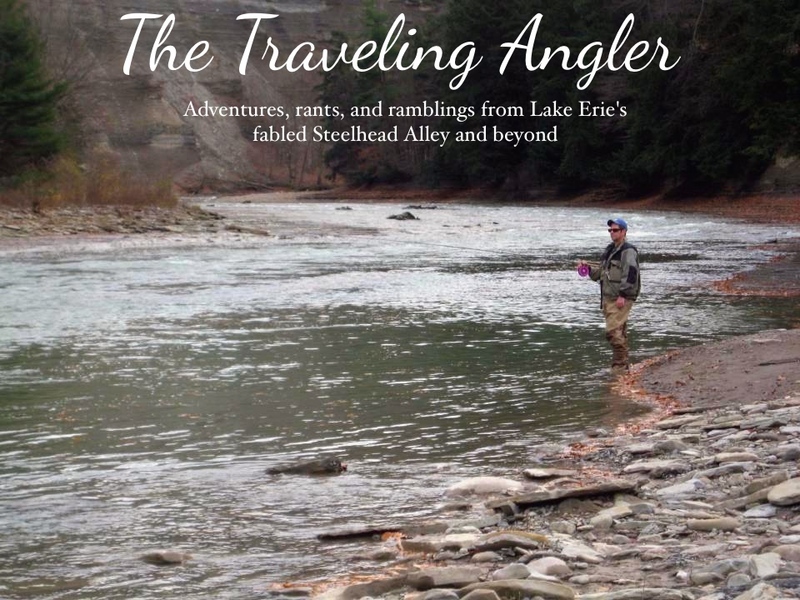 But that is expected as steelheading in Ohio during early October is often being in the right place at the right time and little luck has to be thrown your way. When conditions are not favorable, I'll head out to the break walls to cast spoons. 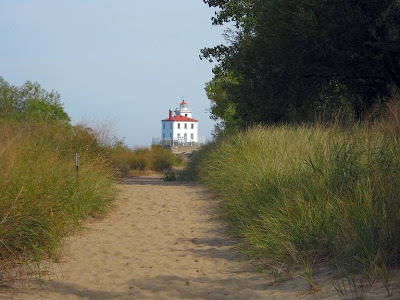 During the fall the best break walls to fish are the Grand River, Ashtabula and Conneaut harbors. Generally, in early fall, Conneaut is better because Pennsylvania's steelhead are a fall running strain. But, when October rolls around fish start showing up around the Grand River. I prefer the Grand River wall as it more accessible and not as steep as Conneaut's wall. I've been fishing the walls for the past couple of weeks and the fishing has been slow. Usually a handful of fish are caught at first light and depending on weather conditions such as bright skies, the fish will retreat back to deeper water a couple hours after sunrise. As I walked along the wall, I could see large schools of emerald shiners racing along the wall. The wall was their only refuge from other predatory fish such as bass, perch and of course steelhead. During the early morning hours, I could see and hear the slapping and splashing of water as steelhead were chasing shiners towards the surface. Even though the boat traffic was heavy it didn't stop the fish from feeding. Fishing off the walls or pier can be hit or miss. There are a lot of factors involved such as temperature, water visibility, sunlight, wind and time of day. First light is usually the best time as steelhead often come closer to the shore. The best conditions for pier and wall fishing is a cloudy day and the water has a nice chop. The waves will force the baitfish to move farther out from the rocks. It's doesn't take a lot of know how when it comes to pier fishing. Steelhead are very aggressive and will hit any that resembles a baitfish. Simply cast out and retrieve, steelhead often cruise along the upper water column. Strikes are often hard and in open water they'll rip off a lot of line. Other anglers take the other approach and use a jig tipped with maggots under a float. Usually the anglers will have 4' to 5' of line between the float and jig. Casting out about 10' to 30' off the pier produces fish. On an end note, the slow day ended with me running into several elderly bird watchers. They had a disgusted look on their faces. The one lady said "Nothing ruins a morning than having to look at" I looked over and there was this fat guy strolling along the beach totally naked. I wanted to a shot with my camera, but he was too far away. When I got the parking lot a Grand River police car pulled up and I said "You better bring a towel......a big towel"
Looking forward to reading about the steelhead this year Greg. I might get the chance to spend December on the Chagrin and Grand when I'm home for xmas. Coho salmon are in the Umpqua out here in Oregon.